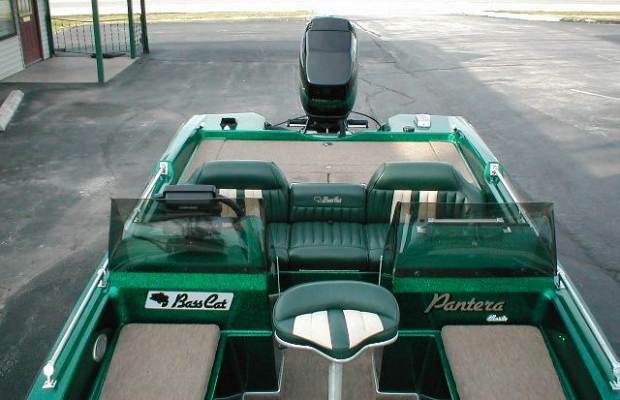 To have your BassCat added to this list, click on Add a Boat fill in the form and click "Submit". Your boat will be added asap. *To add photos to your listing just e-mail me a .jpg photo. neighbor that it was a '93 the other day and he said "No Way! livewells won't hold water, and the X70A isn't locking on. some pictures as soon as I get the new windshield installed. they have been more than helpful." X-16ci (console) and MinnKota Maxxum 74# TM. added a water pressure gauge." 200 Merc MotorGuide 767 TM. Propshaft is 24 3/8" below the bracket. tank - fuel line is 3 to 4 inches above bottom of tank. Do I have a wiring problem?" 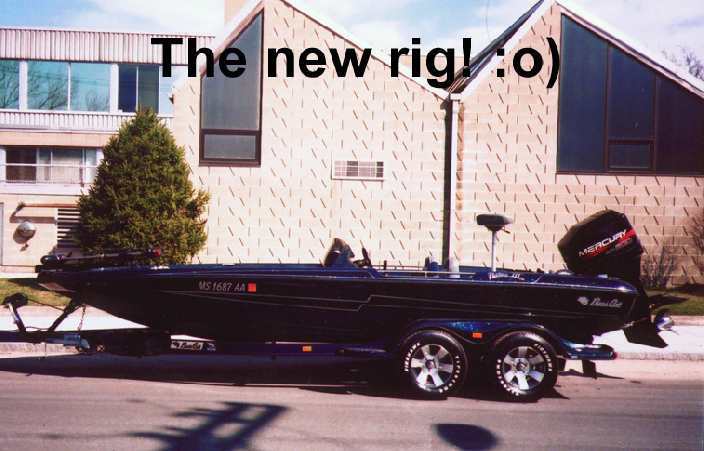 225 Evinrude HO (2), MotorGuide 81# TM. Propshaft is 2 3/4" below the pad. 200 Merc MotorGuide 36V. 71-72 mph @ 5695 mph (gps). 200 Merc EFI MotorGuide Brute 767. 72 mph @ 5800 rpm (speedo). and handling of this rig." 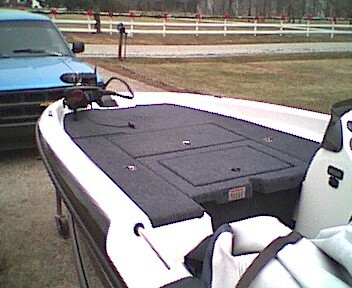 150 Yamaha MotorGuide TourEdition 782.
go-cart with hotfoot and ProTrim. Killer holeshot." 225 Merc Lowrance 160 Map, MotorGuide TE107# TM. Propshaft is 2" below the pad. 76.7 mph @ 5950 rpm (gps). not fishing like I SHOULD be...maybe this Boat is too good." 150 Merc MotorGuide TM. 63 mph @ 5800-5900 rpm (gps). after break in for performance info." strong and fishes great. Exceptional ride in 2 ft. chop. Still dialing in and plan to add performance items later." 200 Johnson GT MotorGuide 50# TM. Propshaft is 3" below the pad. 67 mph @ 5700 rpm (gps). 225 Merc 7520, Lowrance X28, MotorGuide 767 TM. these. Has anyone had trouble with theirs? Send me an email. another. Scott and Jr have been great at BassCat." 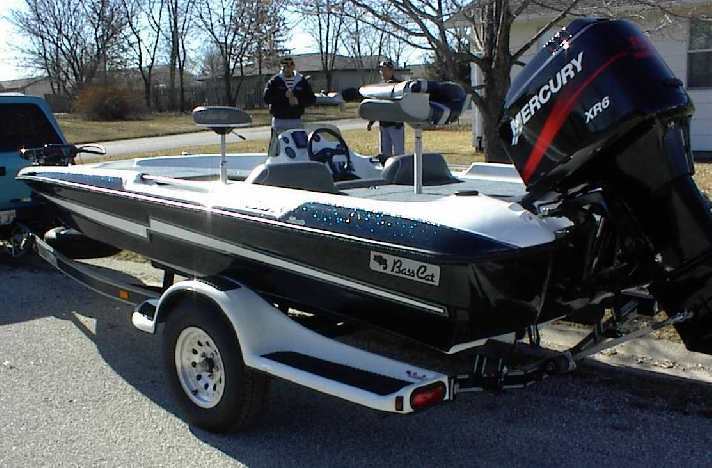 150 Merc XRI Humminbird Wide 100, MotorGuide Brute. Motor is 3.25" off the transom. 64-65 mph @ 5850 rpm. or would take a good 150 as partial trade?" Updated 7/24/02.. "A-40 Tempest, worked by Steve Glenn, Keystone Prop. If you wanna fly, get it. Faster than my Boger prop." 150 Merc XR6 Lowrance 1240A, Johnson TM. 62 mph @ 5600 rpm (gps). Propshaft is 2" below the pad. 73.8 mph @ 6100 rpm (gps). out of and Fast. Top speed is with a normal fishing load. 150 Merc MotorGuide 767 TM. 71.5 mph @ 5900 rpm (gps). 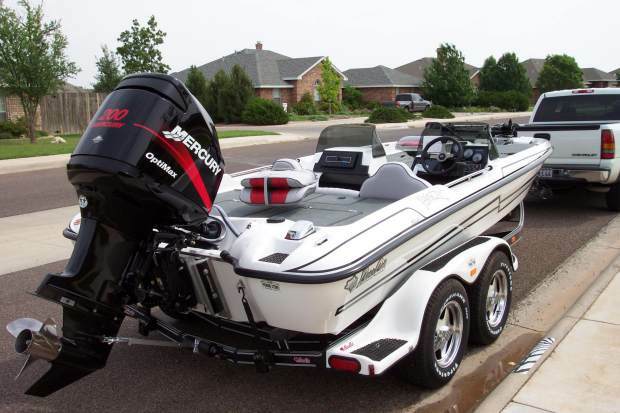 "I haven't tried the boat speed without all gear yet." 225 Merc Lowrance X75, Minnkota Maxxum 74# TM. boat. The storage is great, but I also have the flipping deck. The dash is just incredible, every feature you could want. but will take the ride over top end any day. 225 Merc MotorGuide V780 TM. Motor is 24 5/8" up from pad. 150 Johnson Lowrance flashers, OMC 56# hand control TM. like to hear from you." weeks I will post more info." do. If you have any questions feel free to contact me." I've ever owned, except for my old '96 P-III. family takes in building these fine boats. Can't wait to break this new Yammie 3.1 big block in! " 200 Merc L MotorGuide 767. 72 mph @ 5900 rpm (gps). 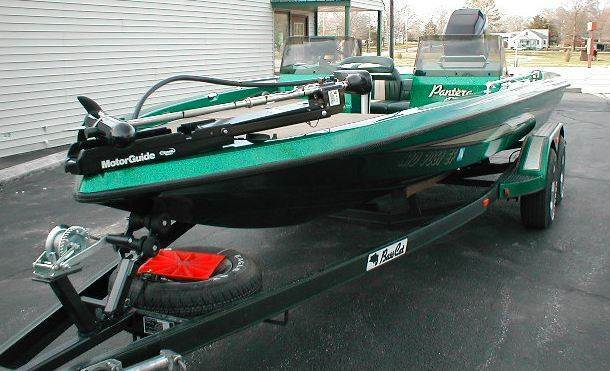 225 Mariner Zercom flasher, MotorGuide 772 24/36 TM. 225 Merc EFI MotorGuide 767 TM. Motor is 24 3/8" off the pad. 83 mph @ 6000 rpm (gps). had it a couple of weeks, but already am in love with it." 00 200 Yamaha OMC TM. "Bought it new in '93 and love it!" learning about the boat! " 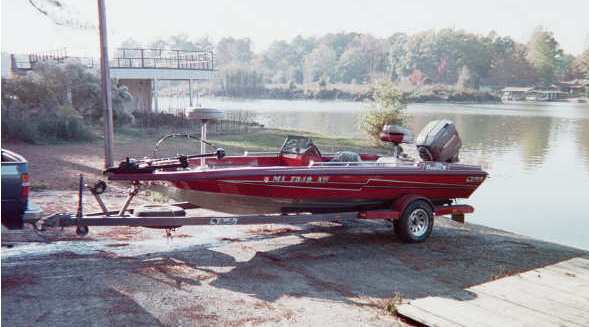 150 Mariner EFI MotorGuide 772 TM. Motor is 24" from the pad. 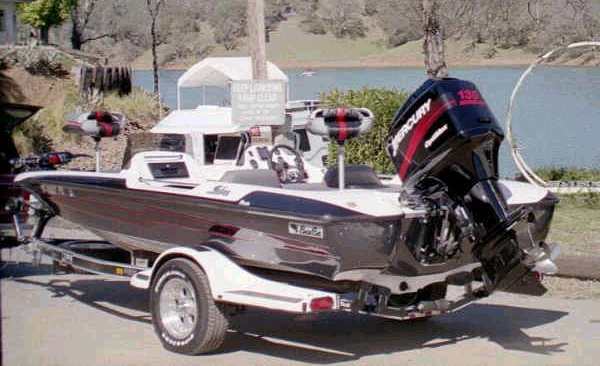 other brands, but this boat has made me a believer in Basscat. 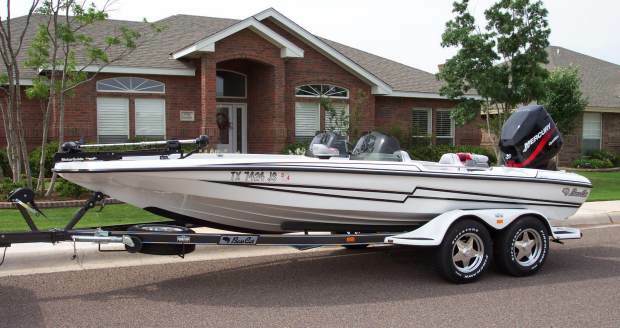 225 Merc Opti MotorGuide 81# Tour Edition. 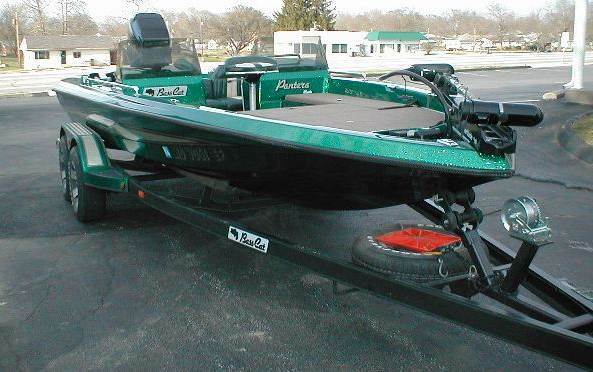 "Awesome fishing platform!" 150 Merc X45's (2), MotorGuide TM. 65 mph @ 5700 rpm (gps). bolt. Couldn't have asked for any more out of a boat." MotorGuide 767 TM. 72.6 mph @ 5850 rpm (gps). 225 Merc Opti Lowrance LMS 160, MotorGuide 767. 76.2 mph @ 5900 rpm (gps). Updated 6/6.... close as can get it with a heavy load." 150 Yamaha MotorGuide 767. 65 mph @ 6050 rpm (gps). 150 Merc "Never stayed at WOT long enough to get to top speed. Have seen 66 mph @ 5600 rpm on speedo on x75. Update: Motor brackets are 24.25" from the pad. 250 Merc ProXB Lowrance X75, MotorGuide TE 781.
people and loaded with fishing gear on a tournament day. 200 Mariner OMC 57# TM. 150 Merc Garmin 1, MotorGuide 767 TM. 63 mph @ 5800 rpm (gps). to go past 6400 rpms. Any help would be appreciated." 200 Merc MotorGuide 767 TM. Motor bracket is 24 5/8" from pad. 68 mph @ 5400 rpm (speedo). "Will run mid-70's @ 5800." 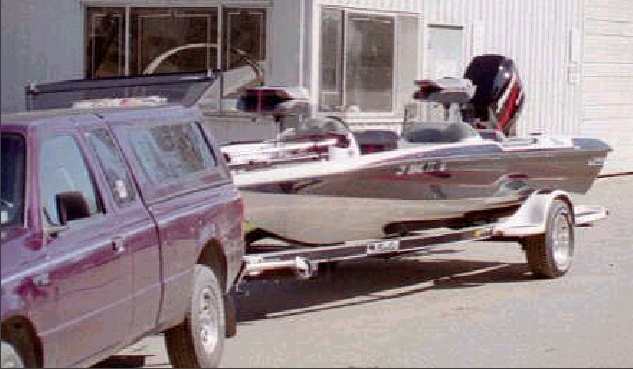 225 Mariner MotorGuide TM. 77 mph @ 5800 rpm (gps). 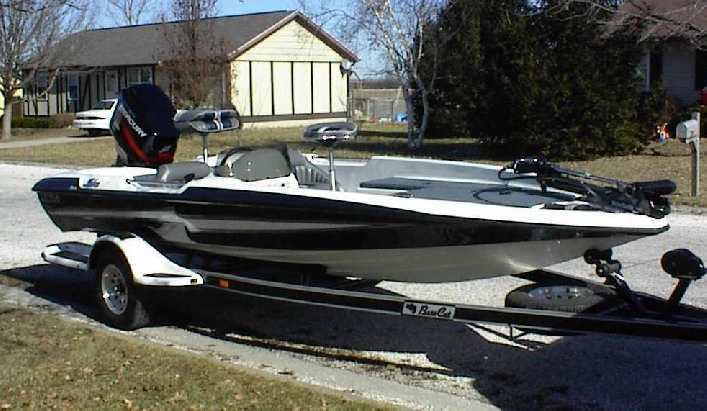 200 Evinrude MotorGuide 756 TM. 67 mph @ 5900 rpm (gps). 200 Merc couldn't be happier with it, though I may want to go to a 25"
150 Johnson Lowrance X75 & GlobalMap, OMC 54# high thrust TM. Fastrike 61 mph @ 5500 rpm (gps). 200 Merc TM. 80 mph @ 5800 rpm (speedo). 225 Yamaha Maxxum TM. 72 mph @ 5840 rpm (gps). 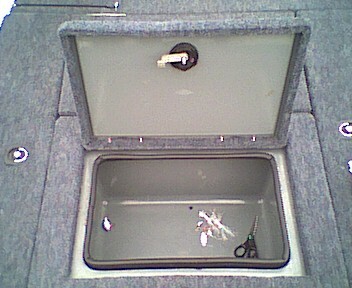 135 Mariner the transom. 64 mph @ 5700 rpm (speedo). 200 EvinrudeLE 2 Bluewater Pros, Evinrude 24V TM, Motor 4" above trans. and I use the boat for skiing as well. 78mph @ 5600 gps. 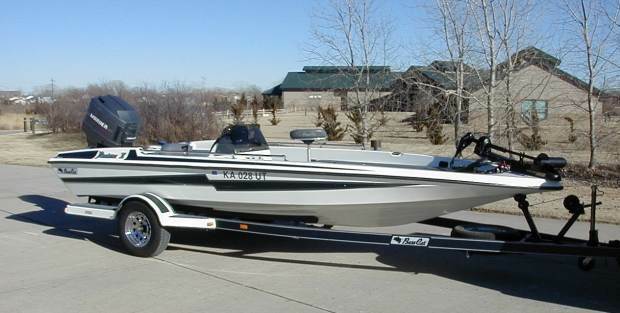 200 Merc Minnkota Maxxum 74 TM. 68 mph @ 5600 gps. 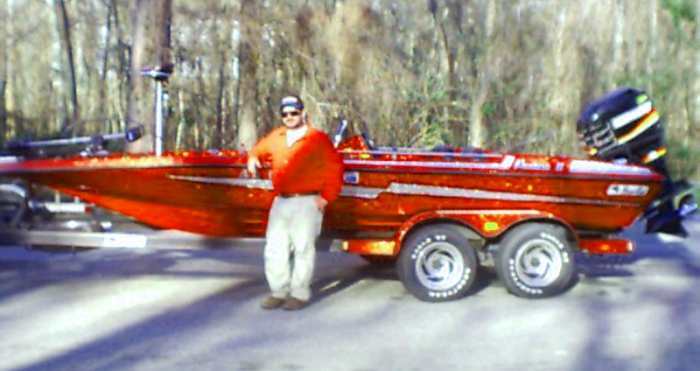 200 Merc EFI Hamby's, Zercom flasher in dash. 72-74 mph @ 5900 gps. 150 Merc BottomLine Tournament Master, MotorGuide Beast 24/36. 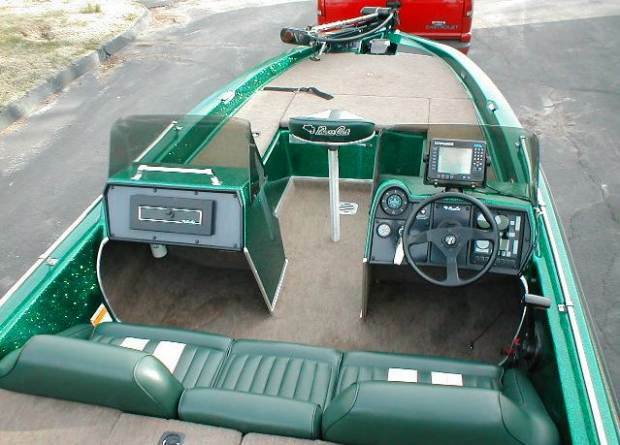 200 Merc Optimax (bow & dash), 1240A flasher, MotorGuide TE781. Updated 12/18/09... "Just got the new powerhead put on, still in break-in period." 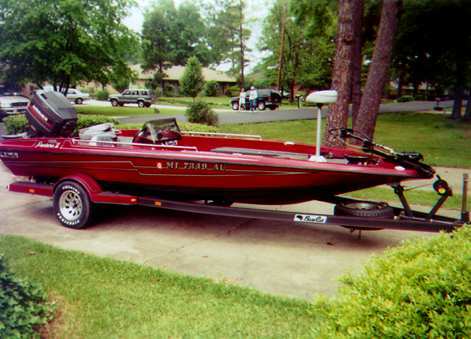 200 Mariner Opti X75 (2), LMS 160, MotorGuide 775 Beast, motor 2.25"
PowerGator, Hamby's, tandem w/brakes, hotfoot, Aurora. teal/black, lightning bolt on side. Runs 69 MPH (GPS). 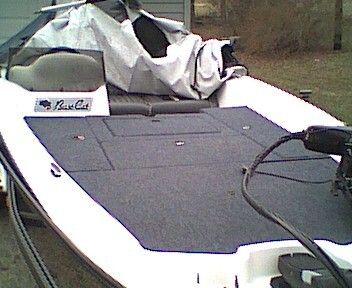 200 Merc EFI Lowrance electronics.